Hacienda Santa Ana is in the Valley of Cotopaxi surrounded by the majestic Andes with mountains such as the Pasochoa, Sincholagua and Rumiñahui. The Hotel has in total 6 Rooms available. The rooms can be single / double / triple. All beds have down or alternative down comforters and pillows. 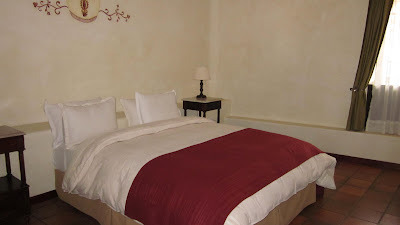 Each bedroom has a private bathroom, heater, digital safety box, slippers, pure bottled water and free black or herbal teas.